The hose you need for all your portable propane appliances. 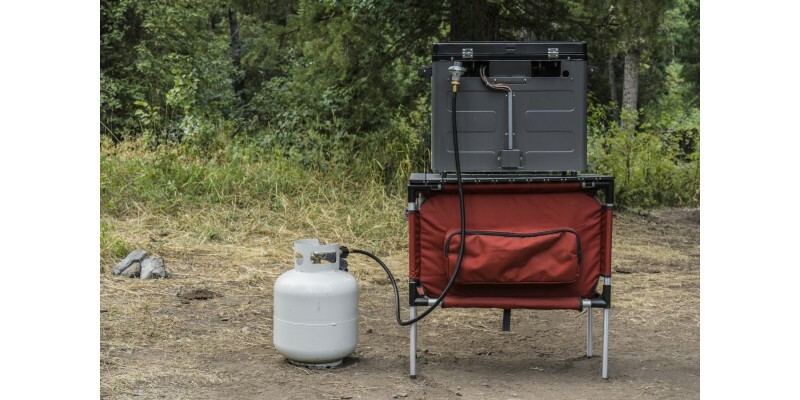 Now you can use your bulk propane tank with your portable propane appliances. 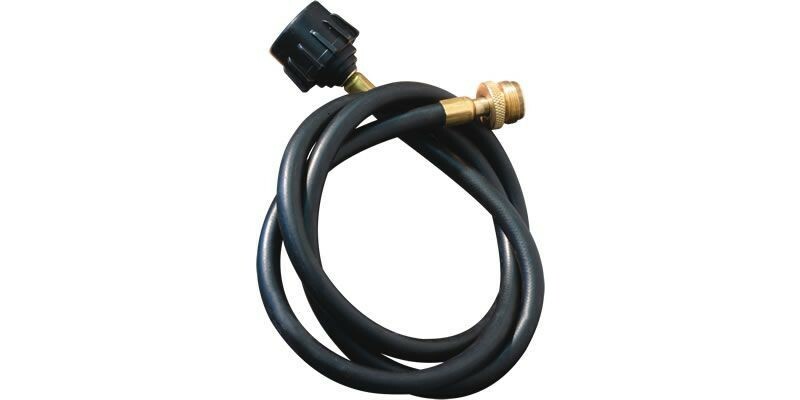 This hose adapts any disposable propane bottle fitting for use with a bulk tank. You can pair this with your portable camp stoves, camp ovens, and more —anything with a 1 lb. propane tank fitting. Stop switching bottles and focus on the food you’re cooking. 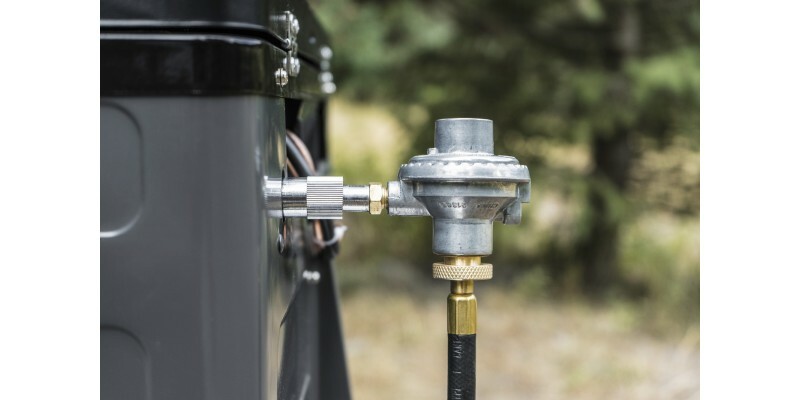 Pick up a propane tank adapter and make cooking easier. Bulk Tank Hose Adapter is rated 4.8 out of 5 by 11. 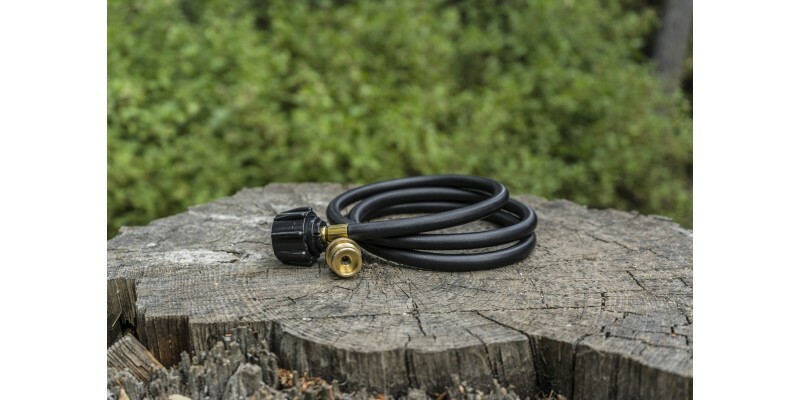 Rated 5 out of 5 by Avid Camper from Make sure you don't run out of gas This hose perfectly connects the camp oven to a bulk propane tank you would use at home on your gas grill. It does not have a regulator, as the picture shows, because it uses the same one a disposable bottle would, which comes with the oven._x000D_ Good product and well built. Rated 4 out of 5 by Richard from Great accessory I was so glad when this hose became available - I just hook up to my bulk tank and I'm cooking for hours! No more switching bottles. I still love the bottle - especially when I'm camping but for the backyard I love my tank. Great Stove, great accessory. Rated 5 out of 5 by Dave from Ready for a trip I enjoy having a bulk tank hose for each appliance when we are on an extended family campout. It's fun to have disposables for a picnic, but that's about it. I like to keep a hose set in each of my ovens so I don't have to find one when I want it. Rated 5 out of 5 by JOHN from LP TRANSFER HOSE SOLVES THE PROBLEM OF A LIMITED GAS SUPPLY. 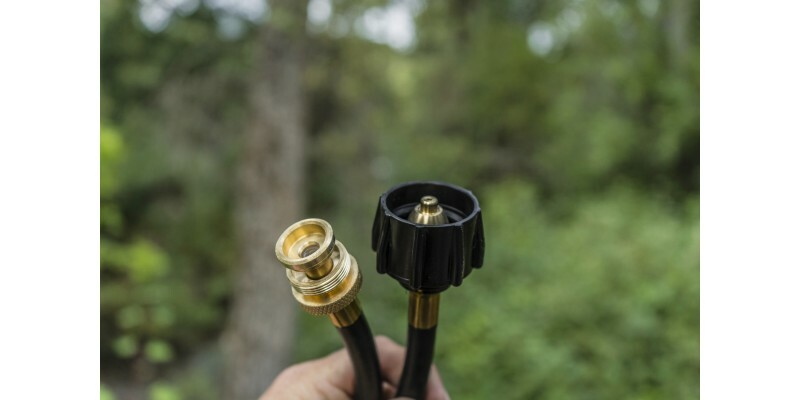 THIS HOSE CONNECTS A LARGER LP CYLINDER TO A LP CAMP STOVE SO YOU DON'T HAVE TO USE THOSE LITTLE BOTTLES WITH A LIMITED SUPPLY OR HAVE TO CARRY ALONG A CASE FULL. Rated 5 out of 5 by Ozark Fred from Gotta have it! 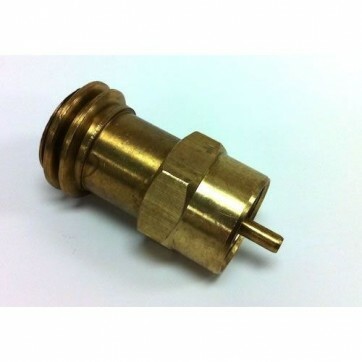 Bulk Hose Adapter!!! This item is a must if you have a Camp Chef Oven! You can plug right in to the more cost effective and much longer lasting bulk tanks. Save those janky, little disposable tanks for your lanterns and such. Rated 5 out of 5 by califbowman from Must have for long use The disposable bottles are fine for a short stay and little use of the oven but with the bulk tank hose adapter, the oven can be used for longer periods of time and with less equipment. Rated 5 out of 5 by Anonymous from I like this produce. 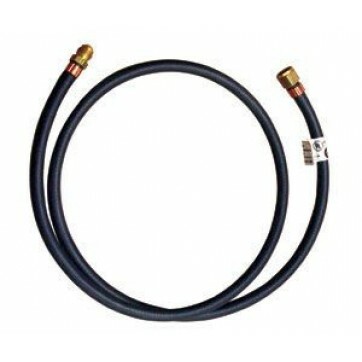 This bulk tank hose makes my camp chef stove/oven really useful and inexpensive to use. I have already recommended this item to a friend who has a camp stove/oven. Rated 5 out of 5 by David Aquino from Hose adapter This hose adapter allows one to use bulk lp tank rather than more expensive disposable cylinders. Works perfectly on the Weber Q series.